"A brilliantly well put-together labour of love, Kid Tripp will have you gnashing your teeth & screaming with joy." 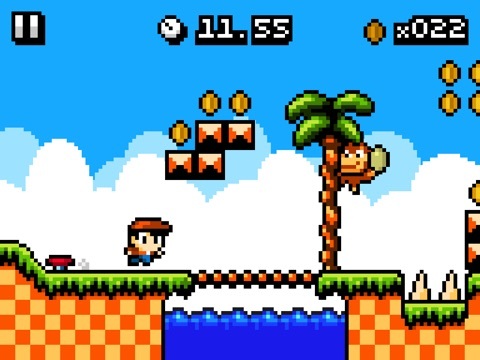 – PocketGamer 9/10 "If you're looking for a lighthearted, challenging afternoon of fun, look no further than Kid Tripp. It not only offers up a charming world that feels familiar, yet different, but it also puts your platforming skills to the test with pixel-perfect touch controls." – Destructoid 8/10 "Quite simply, this is the finest platforming experience you can buy now on iOS" - Save/Continue 9/10 "Tough as nails, but tight as a drum, Kid Tripp brings the thrills of old-skool platforming to the auto-runner genre." 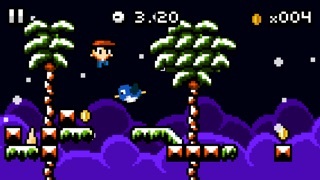 - AppSpy 4/5 "If you’re a fan of old-school platformers, and love a challenge, then I highly recommend that you pick this up." 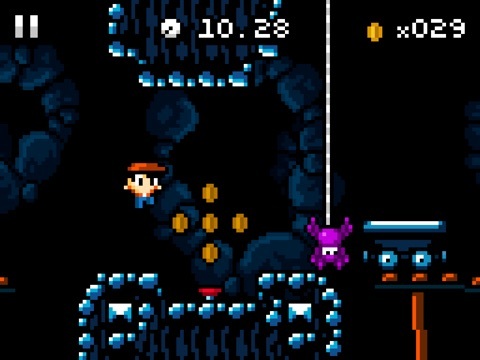 – AppAdvice 5/5 "If you're up to the challenge, Kid Tripp is a sometimes brutally hard, yet incredibly rewarding little platform runner." 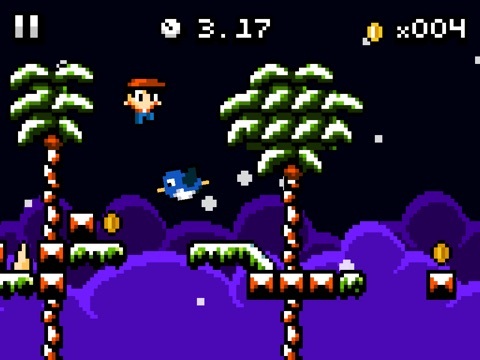 – TouchArcade 4/5 "Those who love speed running in other games and mastering perfect runs should absolutely delight in Kid Tripp." 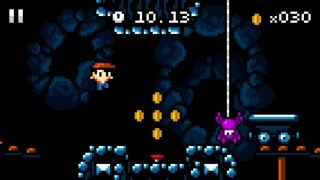 – Gamezebo 4/5 "The level design and soundtrack make you feel like you’re playing something on your old NES. 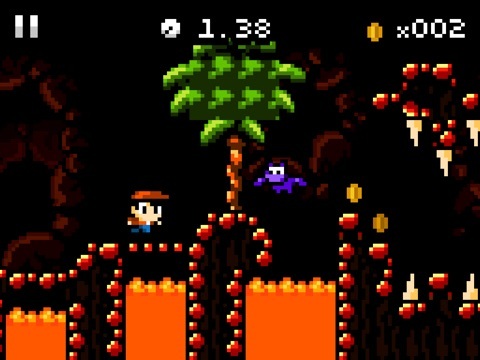 Kid Tripp is right up there with some of the other great retro titles out there like Meganoid and Mikey Shorts." – Arcade Sushi 8/10 Run and jump your way through 20 levels of intense platforming madness in this tough-as-nails platformer! Have you got what it takes to help Kid Tripp escape? 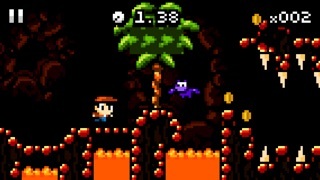 • Super challenging, fast paced platforming action. 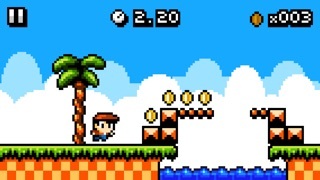 • Elegant controls: tap on the left to jump, tap on the right to throw a rock, and hold down on the right to sprint. • Silky smooth 60 frames per second. • Twenty levels, four awesome worlds. • Old school soundtrack from Chris Kukla. • Game Center leaderboards and achievements. View the trailer now at kidtripp.com! Follow @KidTrippGame on Twitter!